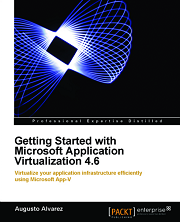 Finally the writing process is complete, and my App-V book is just around the corner: “Getting Started with Microsoft Application Virtualization 4.6”. The book is available for pre-order in Pack Publishing website and in Amazon. Publish, deploy, and manage your virtual applications with App-V.
Step-by-step explanations to plan and implement the virtualization of your application infrastructure. Introducing Application Virtualization in a Virtualized World. Preparing your App-V Environment and Installing App-V Management Server. Deploying the App-V Sequencer, App-V Desktop Client and Streaming Server. Taking the Initial Steps in the Sequencing Process. Integrating App-V with System Center Configuration Manager 2007 R2. Reviewing App-V for Remote Desktop Services (Terminal Services). Understand App-V components and its architecture. Explore the new and important features of App-V 4.6. Set up App-V Management and Streaming Servers to facilitate the centralized management of applications. Install App-V Sequencer, Desktop Client, and Remote Desktop Services (Terminal Services) Client to set up the entire environment for application virtualization deployment. Prepare and configure different models and implementations of App-V.
Sequence and publish simple applications, as well as highly complex applications such as Microsoft Office 2010. 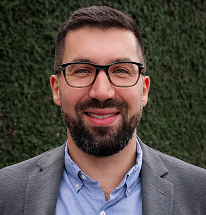 Understand and implement Dynamic Suite Composition (DSC) for interconnected virtual applications. Integrate App-V with System Center Configuration Manager (SCCM) to optimize the infrastructure. Secure the App-V Environment to ensure safe communication between the server and the clients. Install and configure App-V for Remote Desktop Services (Terminal Services) to simplify application deployment and integration. This book represents a lot of months of hard work and I’m hoping it will cover all of the common topics for any IT professional who wants to start working with Microsoft Application Virtualization, understanding the basic concepts, and receive the guidelines for installing, configuring and deploying the entire App-V environment, and of course achieve the abilities to master Application Virtualization in complex scenarios. The book will be available in the paperback as well as in eBook version. The official release date for the book is not available just yet, but you’ll be hearing the confirmation soon enough; including the special acknowledgements for a lot of people who I had the chance to work with in the writing process of this book. 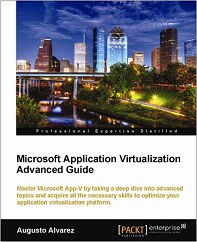 For more information and pre-order, access the detailed description for “Getting Started with Microsoft Application Virtualization 4.6”. Felicidades Augusto por el logro!!! Que alegria por vos! Te mando un abrazo grande!